Hi guys, just a quick blog post to show you the latest edition to my ever expanding collection of art for my bedroom wall. 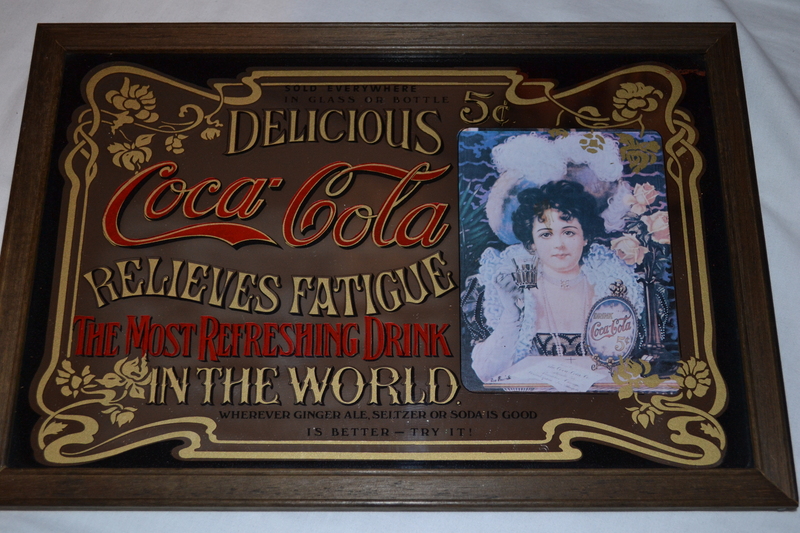 This vintage style American mirror advertisement for Coca Cola. A pub that I have gone to for a couple of meals in recent times has a lot of this style of art on it’s walls, except in much larger scales, so I thought I would browse the web for one of my own. I’m really pleased with it, and luckily it survived the stupid postman shoving it through the letterbox despite having “Fragile” written on it 3 times each side, he should be shot!